Pavlova is one of my fiance’s all time favourite desserts and I have to admit that I’m quite fond if it too (not to mention the wonder that is Eton Mess). It’s the kind of dessert where once you start thinking about it, nothing else will do. 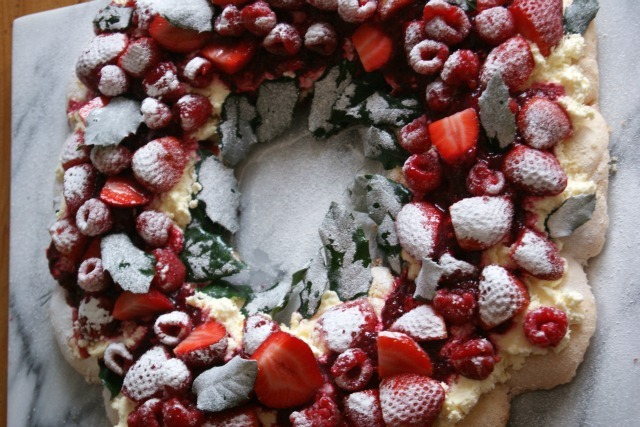 To try and crow bar this summery dessert into winter, I’m going with a Christmas Pavlova Wreath (look, there’s holly and everything!). 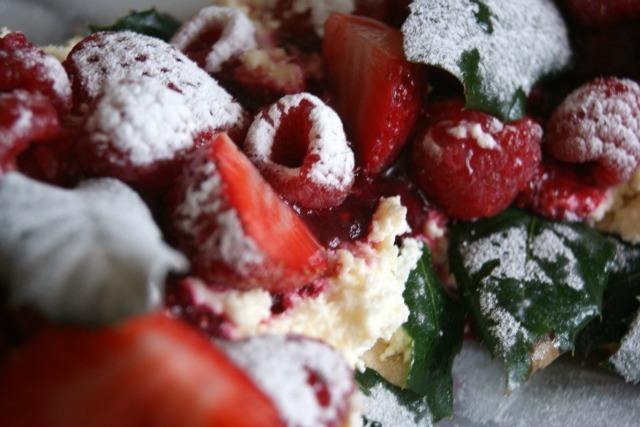 This is a really good dessert to make if you have people coming round, it looks beautiful on the table and feeds plenty of people. It takes a little advance planning to get ready, but it’s totally worth it. Heat the oven to Gas Mark 1 or 140 degrees. Whisk 5 egg whites until stiff. Slowly add 250g caster sugar, one teaspoon at a time, until it's incorporated and the mixture is stiff and glossy. Take a piece of baking paper and draw a 28cm circle in pencil. Flip the paper over onto a baking tray. Spoon your meringue mixture onto the circle in 12 mounds that touch each other. Pop into the oven for 1½ to 2 hours, or until golden brown on top. Once it's reached that point, turn off the oven and allow it to cool before removing the meringue. Whilst your meringue is cooling, I like to mix a little berry sauce to pour over the pavlova. 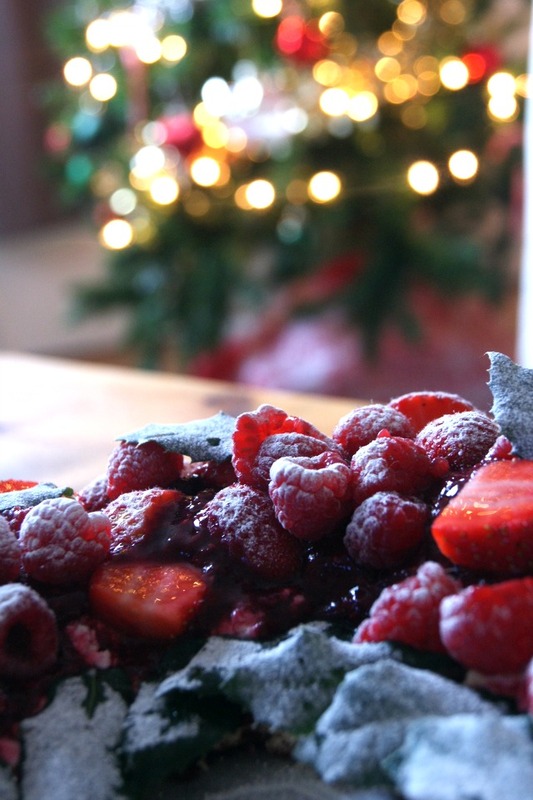 Pop the frozen berries into a pan and melt over a low heat. Add some water and cook for 20 minutes, stirring occasionally, to allow everything to soften into a sauce. Allow to cool. Whip the cream until it's thick and ready to spread over the cooled meringue. Pour over the berry sauce and top with as many berries are you can fit. Decorate with some greenery (I used holly for festive decoration, but mint would work well too) and dust with icing sugar to serve. As always, I appreciate your comments and always love reading them. What’s your favourite festive dessert?